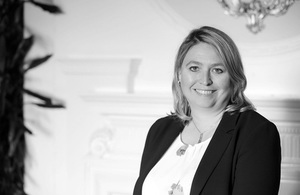 The Secretary of State for Northern Ireland, the Rt Hon Karen Bradley MP, has set out a draft budget for Northern Ireland for the financial year 2019-20. Increases of 3.8% to the health budget and 1.1% to the education budget. Increases in cash terms for the Department of Justice, Department for Infrastructure, Department for the Economy and, Department for Agriculture, Environment and Rural Affairs. I am working hard to restore devolved government in Northern Ireland at the earliest opportunity. I firmly believe that this is the best, long-term plan for the people of Northern Ireland. In the absence of devolved government, I have been clear that I will continue to take the urgent and necessary decisions to ensure good governance and stable public services. This Budget delivers £140m of new funding to support the delivery of stable public finances and ensures a real-term increase for vital public services, such as health and education. This Budget does not remove the pressing need to see locally-elected politicians back at Stormont, taking important decisions on behalf of the people who elected them. This is my absolute priority. Alongside the draft budget, the Secretary of State has introduced two Bills: a finance Bill legislating for the final departmental spending in 2018-19; and a Regional Rates and Energy Bill. This provides the required legislation to collect rates and to continue the Northern Ireland Non-Domestic Renewable Heating Incentive (RHI) scheme into 2019/20 as announced by the Department for Economy. The legislation has its First Reading today, and will be debated in the House of Commons on Tuesday (Budget Bill) and Wednesday (Regional Rates and Energy Bill). This is a fair and balanced budget, set by the UK Government, reflecting the challenges facing Northern Ireland. It includes £140m of new funding; £130m in flexibility to enable existing capital funding to be used to address public services pressures; and this sits alongside a small uplift in regional rates: 3% (plus inflation) increase on domestic rate and 0% (plus inflation) on business rate - the same as 18/19. This funding combined with the approval for additional carry-forward up to £85m resource and £8m capital from 2018-19 into 2019-20 and further monies anticipated in 2019-20 results in a balanced budget for Northern Ireland departments. This budget package recognises the lack of opportunity for more fundamental service reconfiguration over the last 2 years since the collapse of the NI Executive. It reflects where key pressures lie in Northern Ireland, building on discussions UKG has had with the NICS, the main parties in Northern Ireland and broader stakeholders as to the key pressures - reflecting where possible the previous Executive’s priorities. It provides a secure basis for protecting and preserving public services, with a real-terms increase in health and education spending, and protections for frontline departments delivering key public services. It also prepares the ground for a more sustainable future - with a £4m fund to prepare the ground for public service transformation. This draft Budget delivers the stability and the necessary decisions to protect public services and enable forward planning. It does not remove the pressing need to have locally accountable political leaders in place to take the fundamental decisions which will secure a more sustainable future for the people of Northern Ireland.